The Refining Service offers our members a perfect refine of ore or ice. To allow us to run the AMC and all related services we take a small handling fee for this service which is 2.5% same as our buyback service. The outcome for the members will be higher than a perfect refine with 0% tax in a NPC Station. 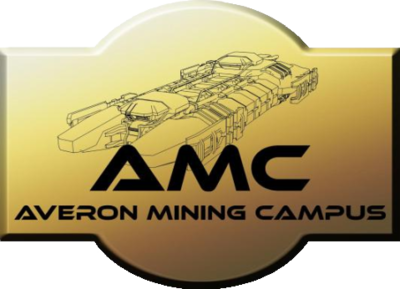 The AMC Refining Service Spreadsheet is used to request a personal ore or ice refine service. As with all Google Doc Spreadsheets, you can either copy it to your own personal Google Doc area or download it as a Microsoft Excel (XLS) file or in an OpenOffice.org spreadsheet file. We will not accept any submissions that have not come via a Google Docs spreadsheet. Here you'll find brief instructions on how to use this service. This includes the in-game steps as well as the required steps out-of-game with Google Docs. It's recommended to have the Contracting skill trained up to at least Level 1 to process more than one contract at the same time. Please use a Station Container for storing your ore throughout the contracting process. If you have more than one container to contract, please add a numeric addition to the end of the name like so: "Your Name (DATE) 01"
Go to the spreadsheet tab "Paste Inventory"
Next you need to issue a 'Private' 'Item Exchange' contract to Bruce Industries at AMC Refinery. Select the container(s) you would like to be refined. Go to the top right of your spreadsheet and click on the "Share" button to open sharing settings. Now select "Get shareable link" and copy the displayed link. Add the spreadsheet key to the contract's description box (see image for finding the key). Value and/or quantity does not match on contract and spreadsheet. This page was last modified on 6 February 2019, at 09:05.